The 50th Annual Rotary Music Festival wrapped up the 2018 event with an impressive Concert of the Stars at Albert College on April 25th. 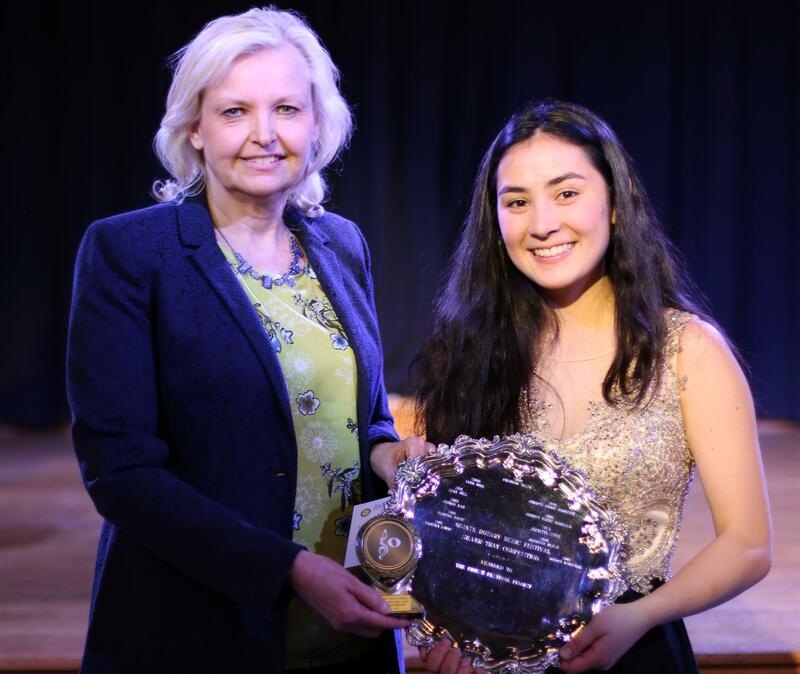 The evening included performances by top winners and guests and presentation of all awards and prizes, totalling more than 70. This year, five different young people shared the five major awards. 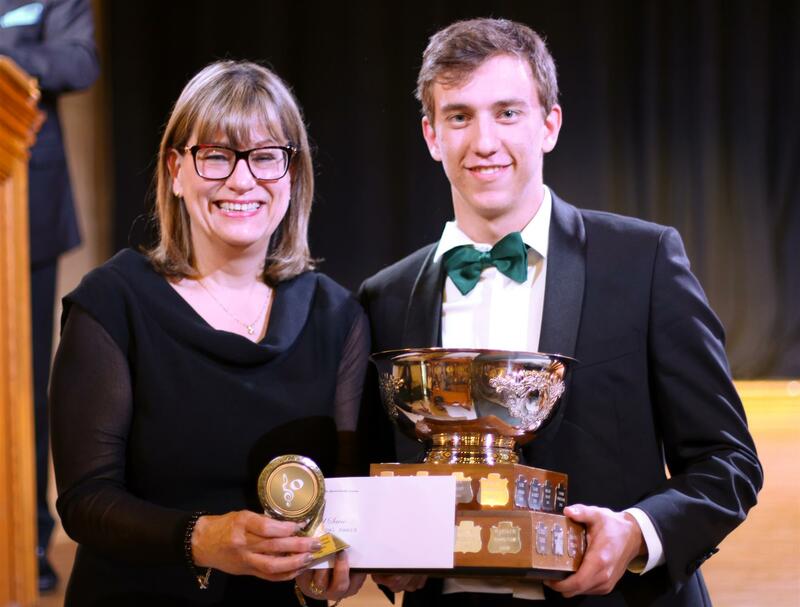 The Rose Bowl competition for voice went to David Slavic, presented by Rotarian Joanne Wheeler. The Silver Tray for piano went to Bianca Rainville. 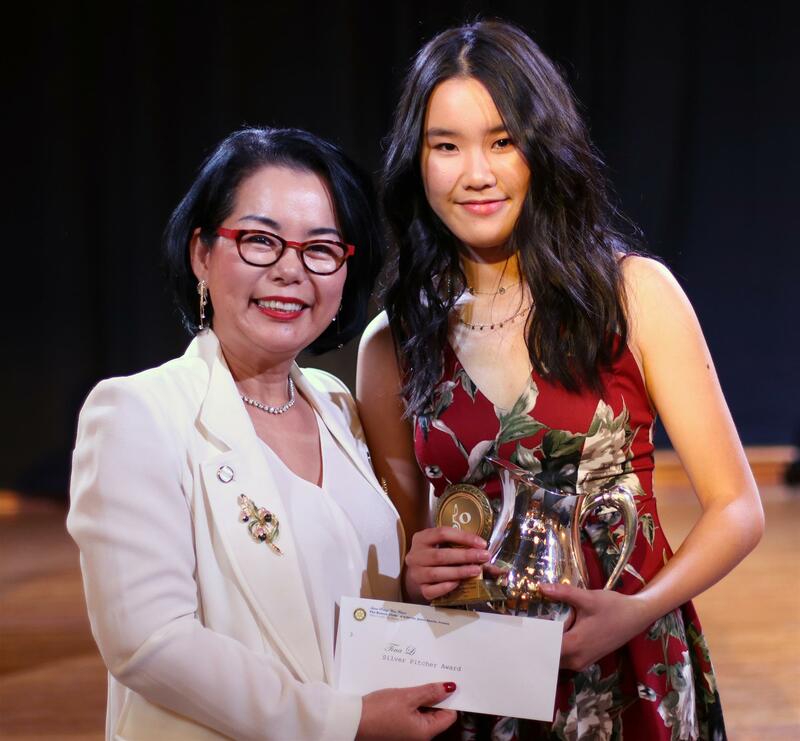 The Silver Pitcher for wind instrument (saxaphone) went to Tina Li, presented by Rotarian Margaret Seu. 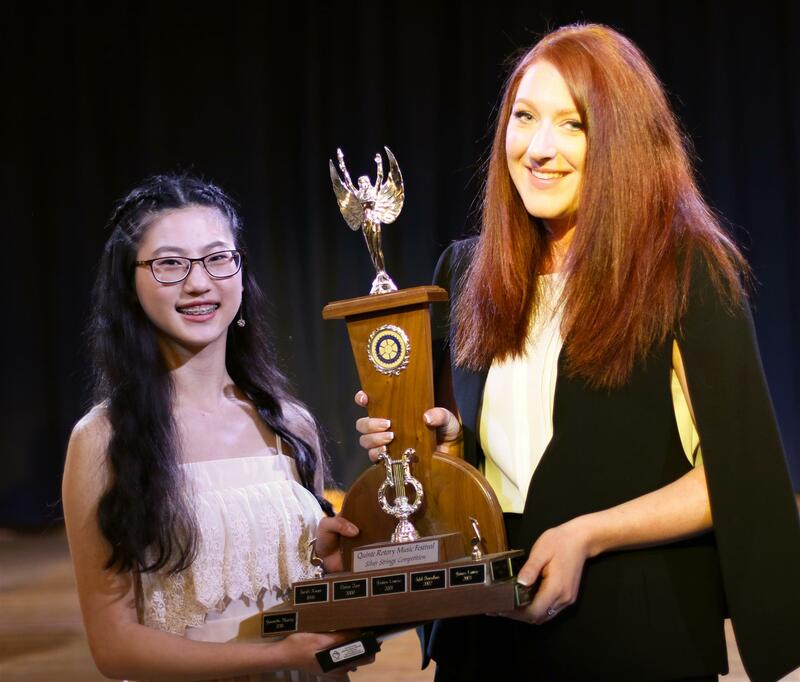 Jeanette Huang won the Silver String Award, presented by Rotarian Ashley Rushnell. Jeanette, who plays violin with the Quinte Symphony, also competed in piano and voice classes. 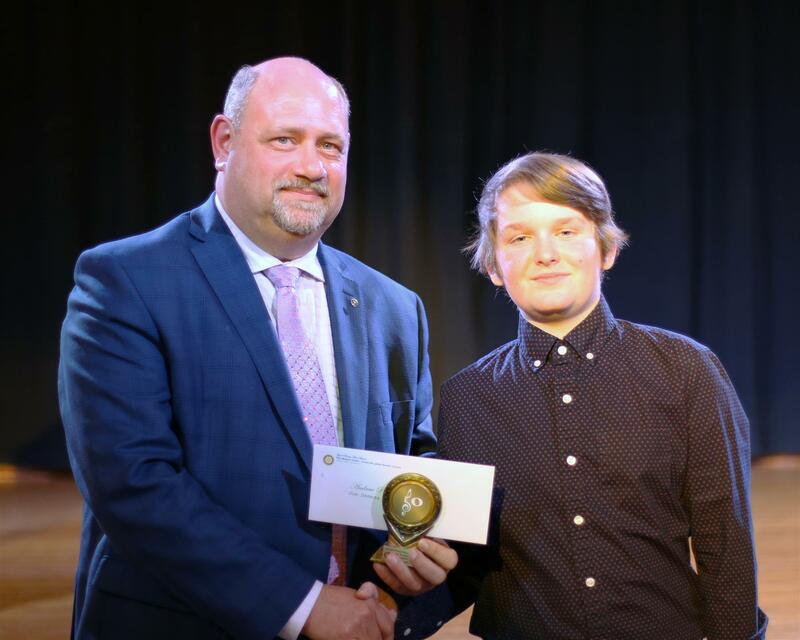 Andrew Powell received the Joe Demeza award as a talented young treble, presented by Rotarian Michael Summers. 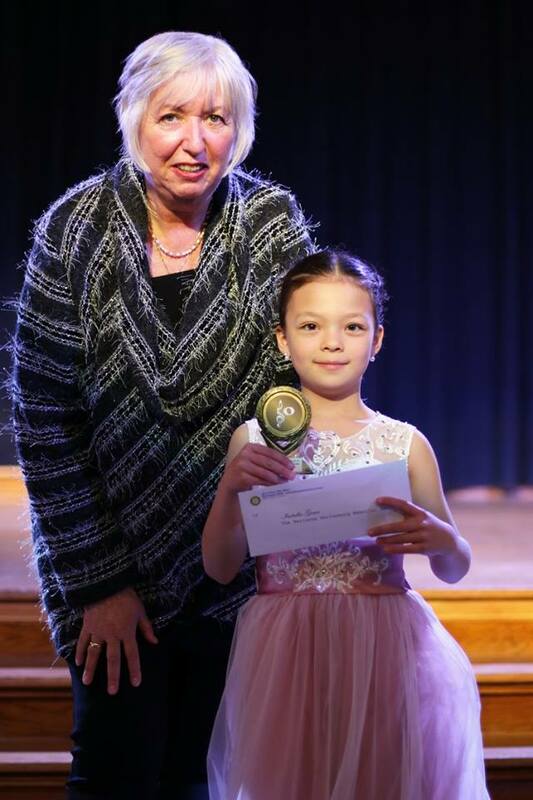 Rotarian Birgit Wartenberg presenting the youngest performer, Isabella Guan, with the Wartenberg Award in memory of her late husband, Wolf and their family's love of music. Isabella's dress was beautiful and her smile says it all! Master of ceremonies for the evening was local vocalist and former festival winner, Elizabeth McDonald. 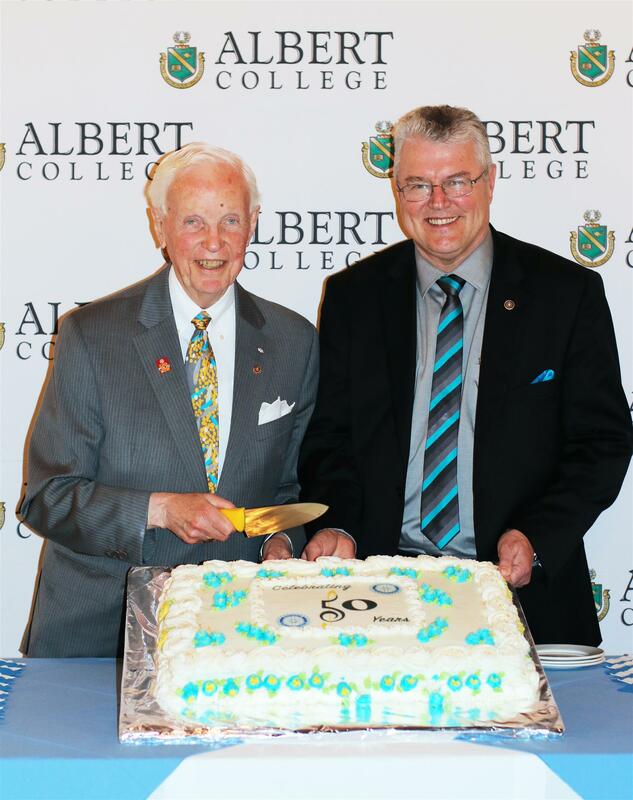 And to end the evening on a celebratory note, Past Rotary International President Wilf Wilkinson and Rotarian and Rotary Music Festival Chair John Chisholm, cut the cake in recognition of the festival's 50th anniversary. Great memories, competition and talent!